Permalink: Seems we're officially orphans. Cami: Drinking in front of a baby. New all-time low? Vincent: You're the one who brought her into a bar. Permalink: You're the one who brought her into a bar. Esther: You brought me back from the dead to torture me. Elijah: My dear mother. We simply need your blood. Though in the event you end up suffering I can't say I won't enjoy it immensely. Marcel: When this is over, you and I are gonna settle up. 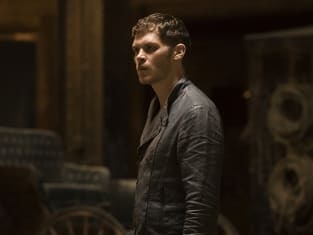 Klaus: Provided we survive what's to come tonight, I look forward to it. Permalink: Provided we survive what's to come tonight, I look forward to it. Permalink: I suppose it's a family trait. Everything we love, we turn to ash.